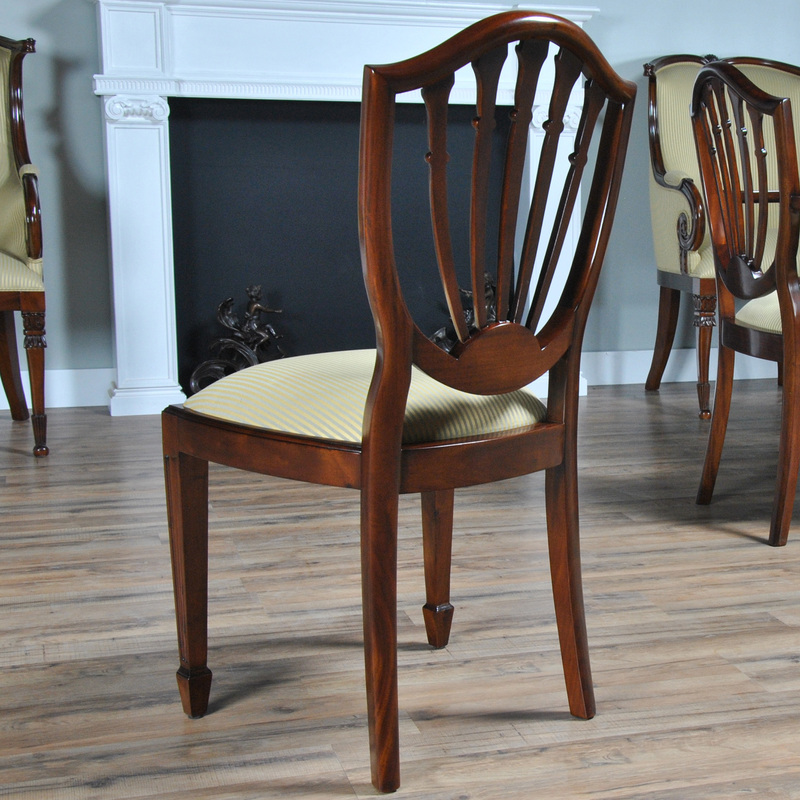 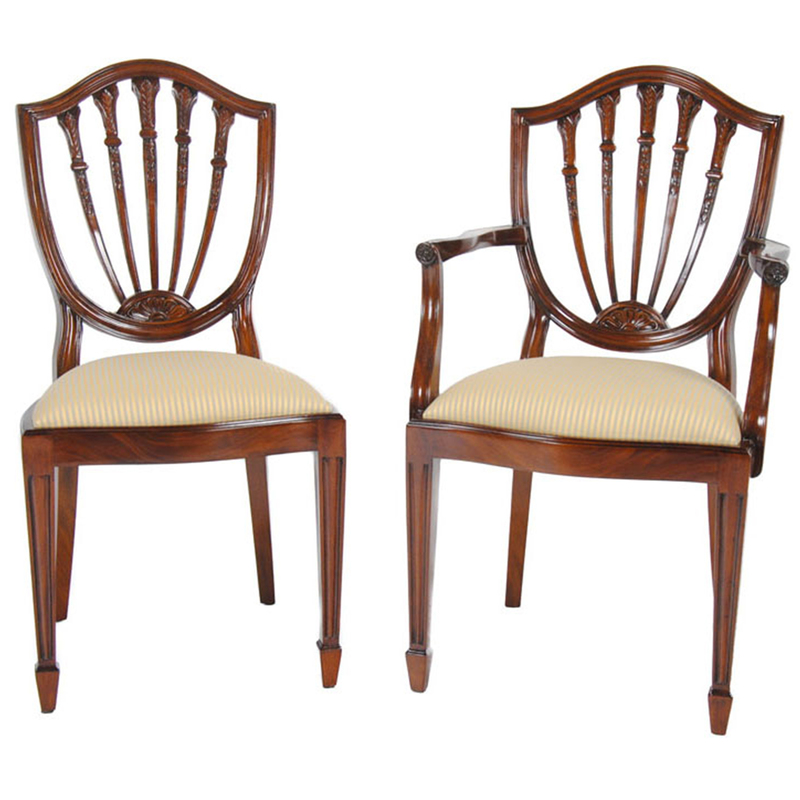 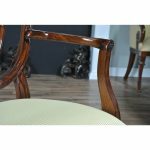 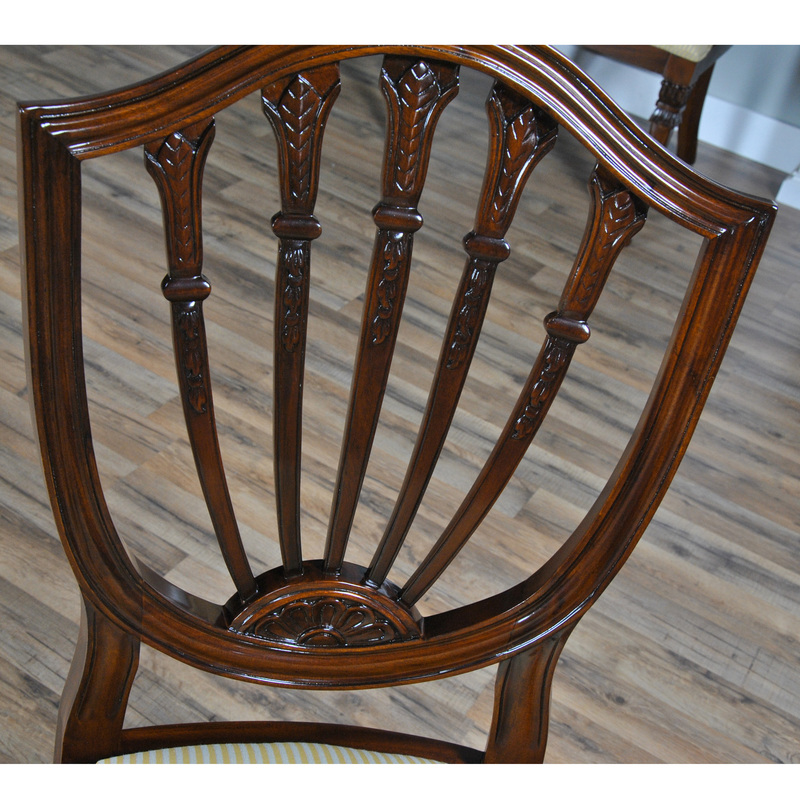 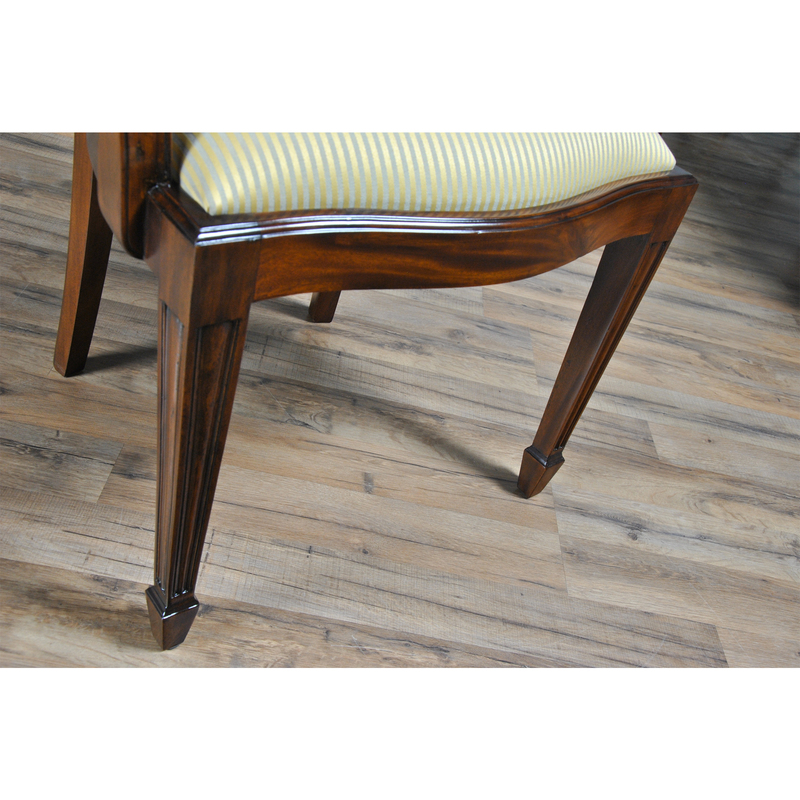 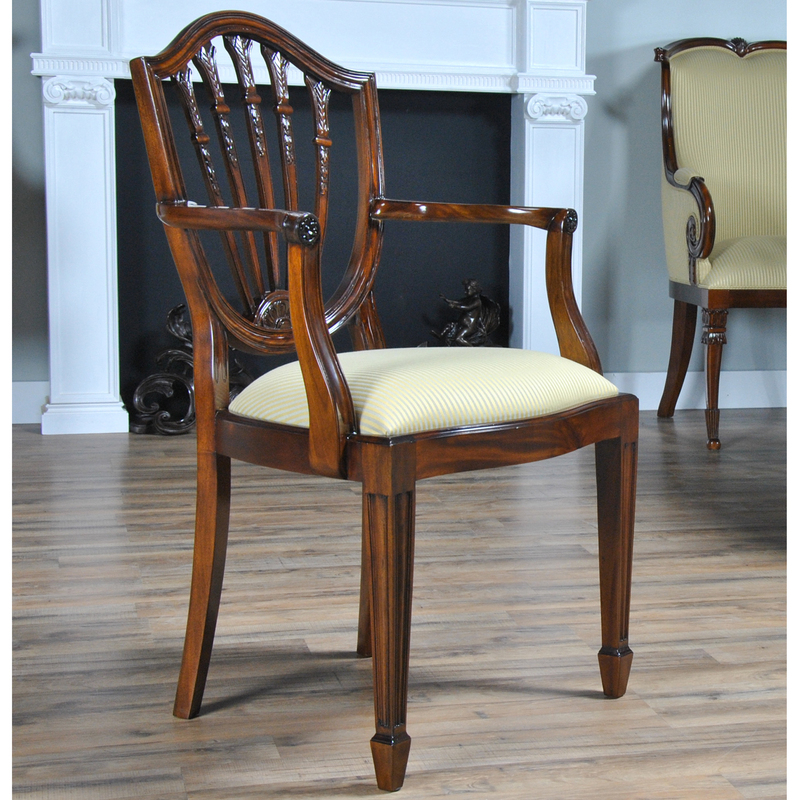 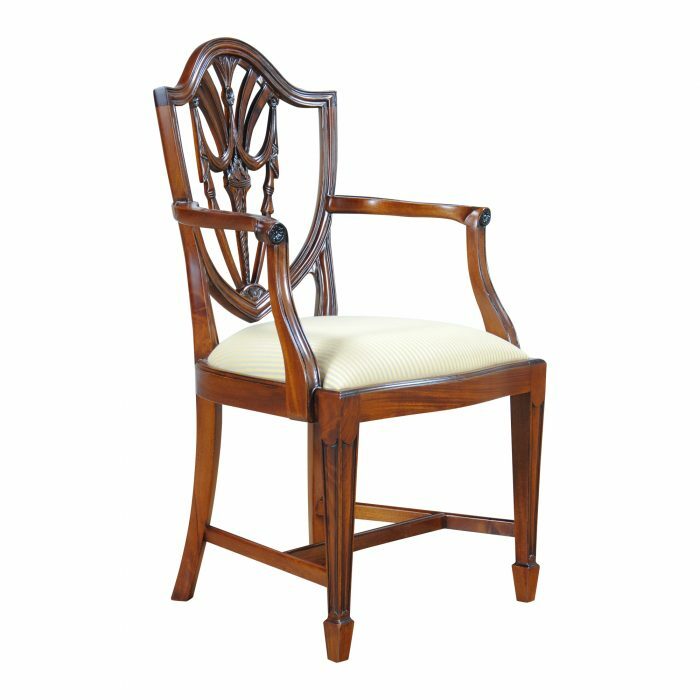 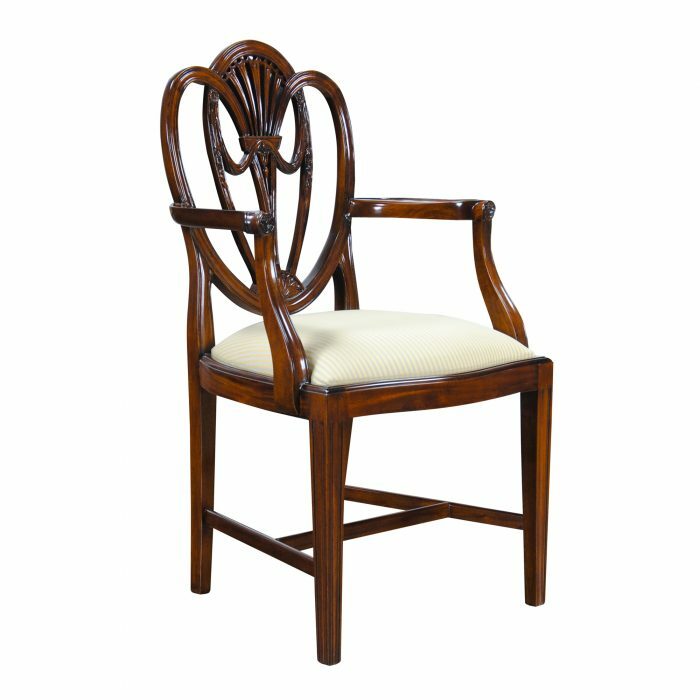 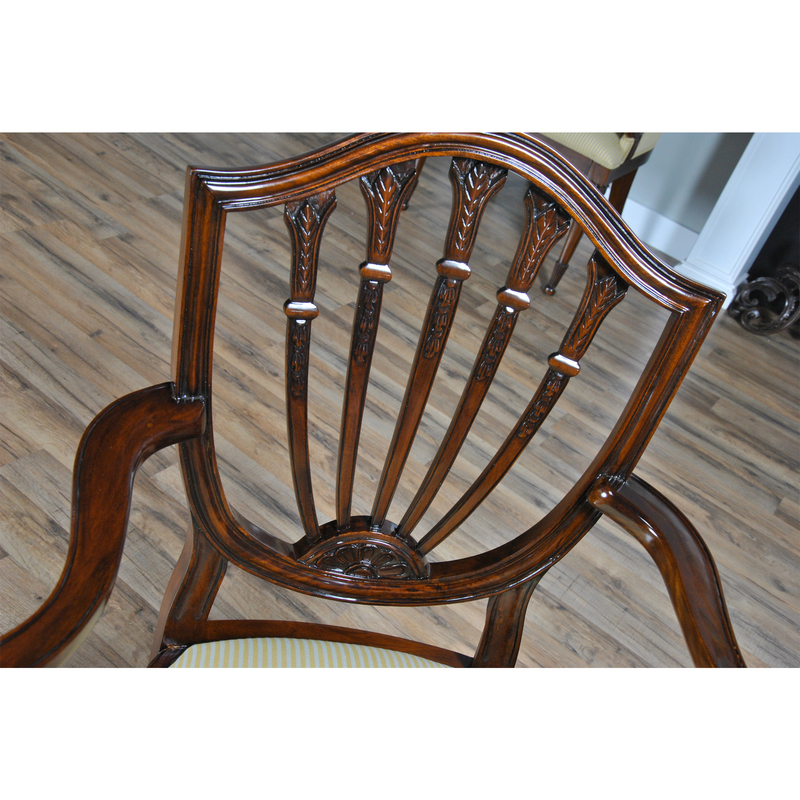 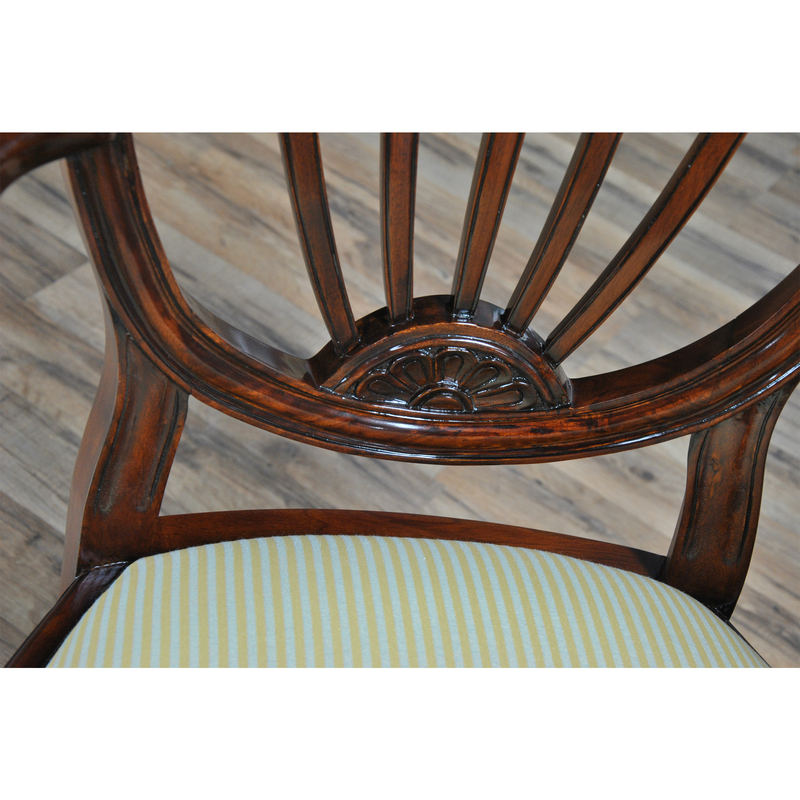 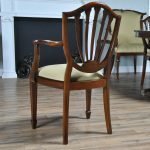 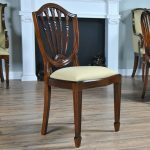 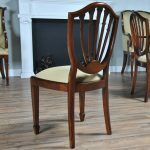 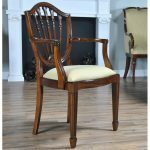 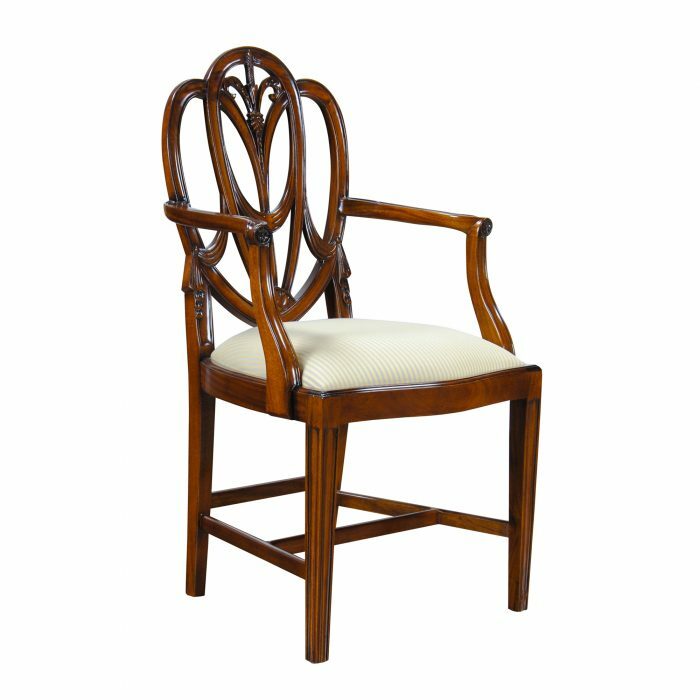 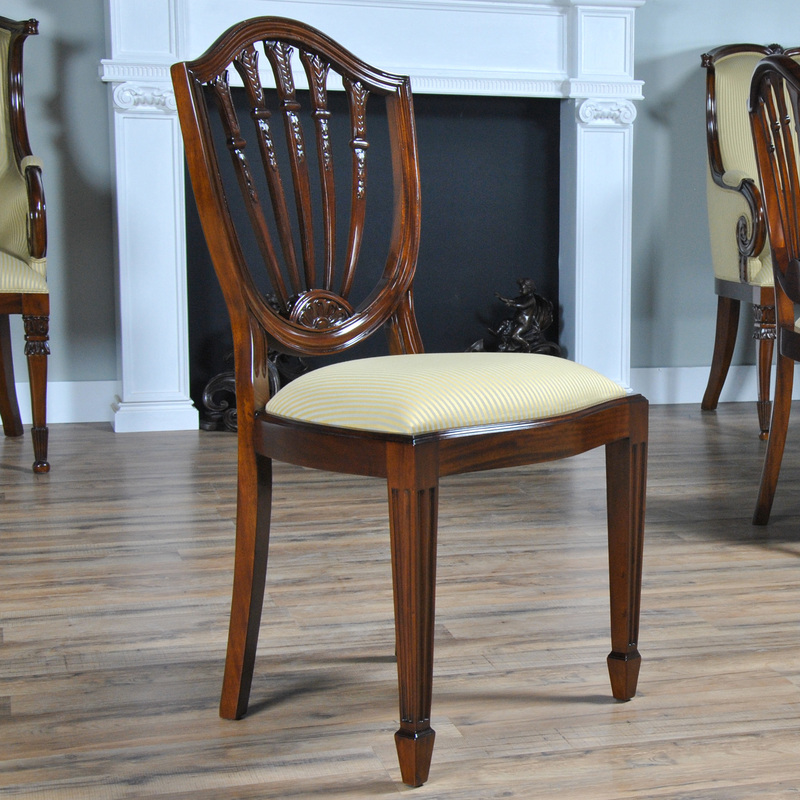 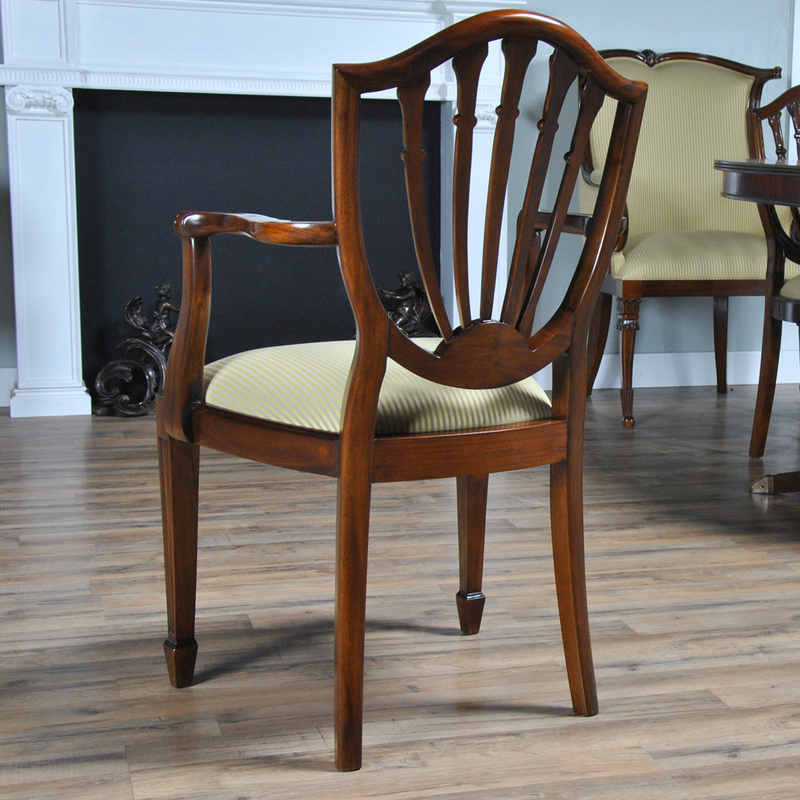 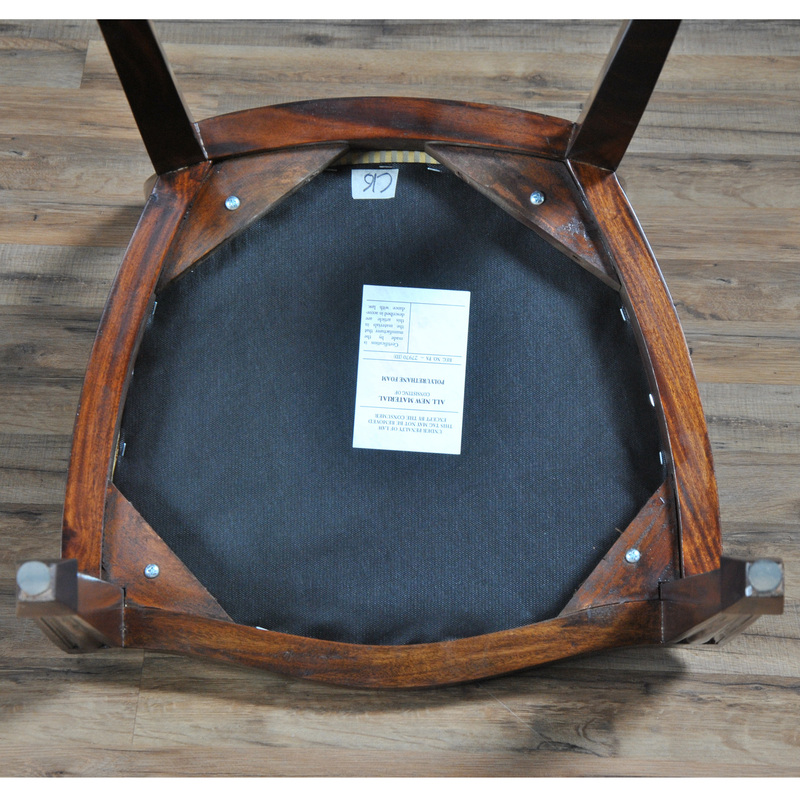 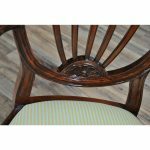 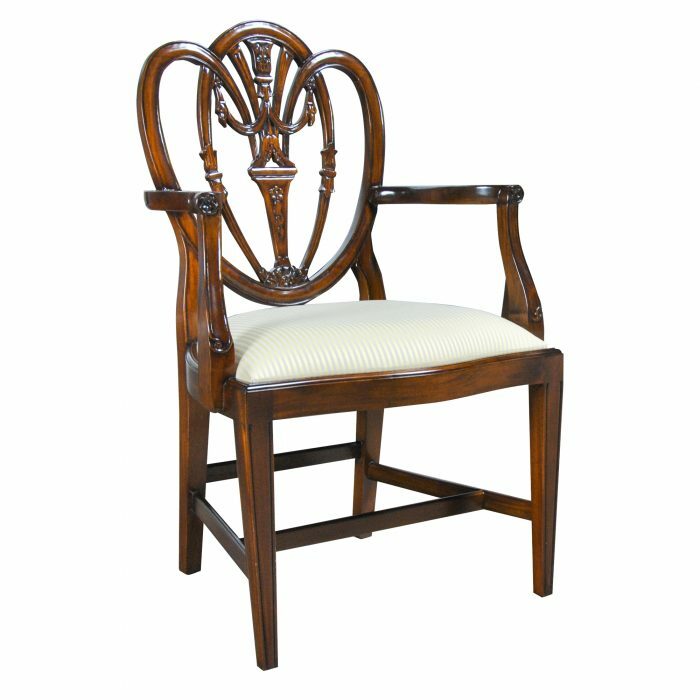 This set of 10 Solid Mahogany, Shield Back Chairs by Niagara Furniture, consist of 2 arm chairs and 8 side chairs. Each chair features a serpentine crest rail which connects to the five section back splat and terminates in a petal carved lunette, all working tougher to provide for solid back support while seated. 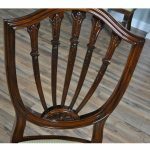 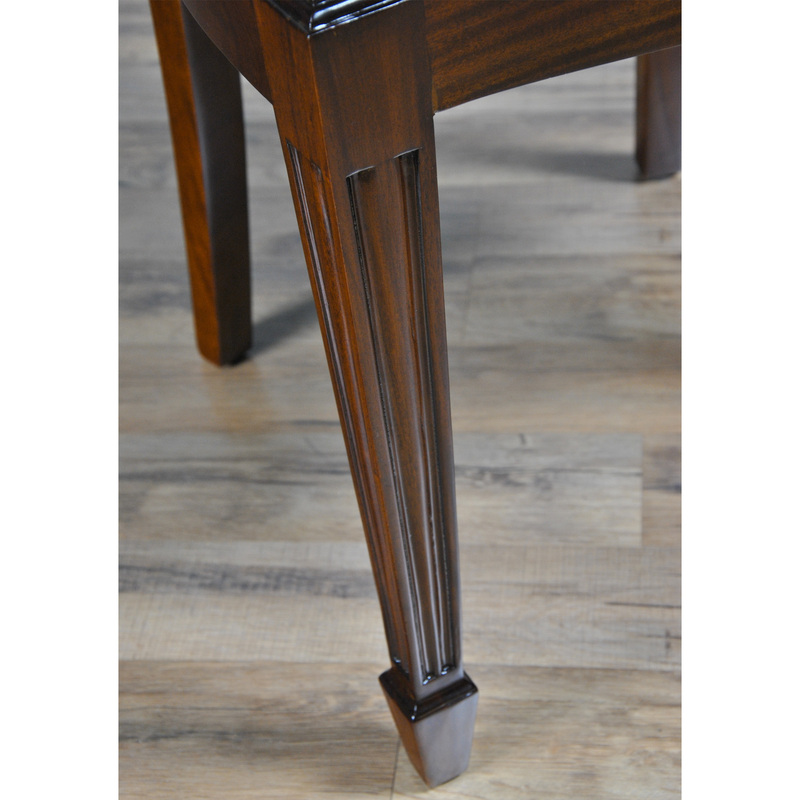 The arm is shaped and curved and ends in a deep rosette carving. 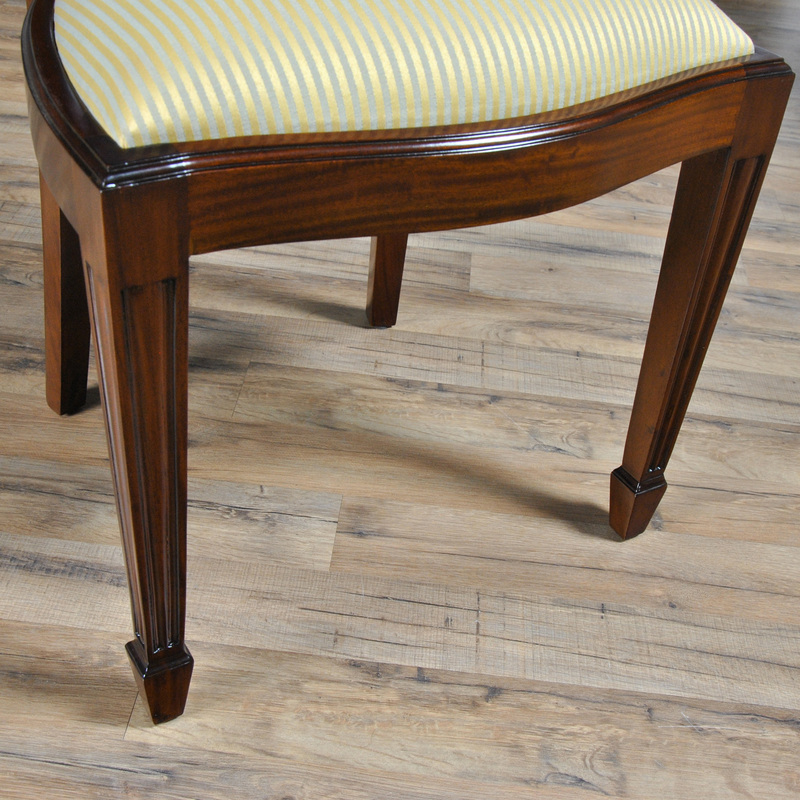 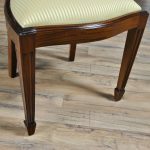 Hepplewhite style tapered and reeded front legs and shaped rear legs connect via bow shaped and serpentine shaped generous sized rails while a drop in seat cushion provides for easy fabric changes to suit your taste. 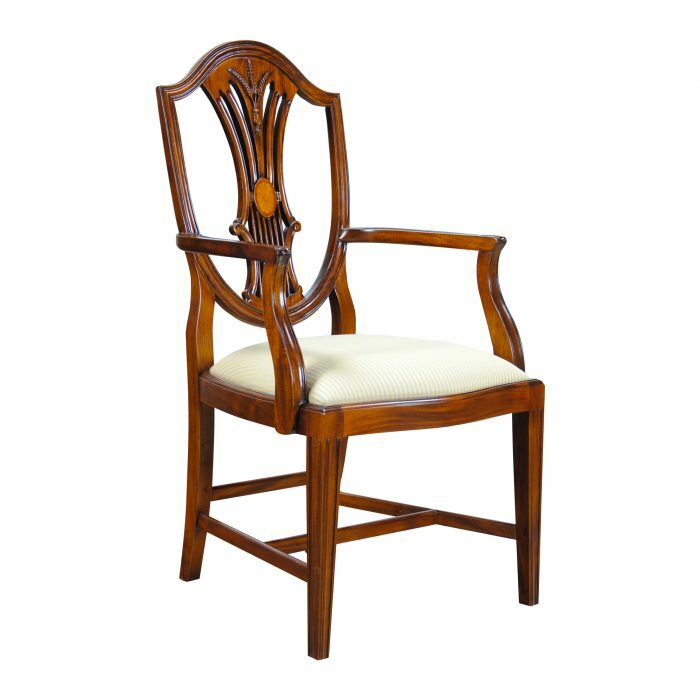 Arm Height approximately 28.5 inches and seat height approximately 20.5 inches.